The electoral battle in Bihar will go down to wire. The Exit Poll results show that no party has got 45% of votes to feel comfortable for final results. The Exit Polls are showing 19% votes for Independents and Others, which has caused confusion. In case, the Independents and Others got less than 10-12% vote share, the NDA or Mahagathbandhan may get clear majority otherwise the neck to neck fight predicted in Exit Poll may prove true. It is important for Mahagathbandhan that Congress and RJD improve their tally of 2010 otherwise, JDU alone may not help to reach the magic figure of 122. On the other side, LJP / Manjhi together should get at least 35-40 seats to help NDA to reach the magic figure. 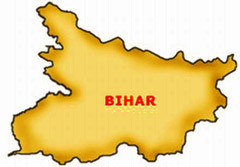 In case, it does not happen, the Nitish and Modi wave may bring unexpected results for any of the alliance. JDU felt suffocated in the company of Congress and RJD in view of ideological differences during the entire campaign. I have a strong gut feeling that JDU may face losses for joining hands with Congress and RJD paving way for clear majority of NDA in Bihar. Let us keep our fingers crossed and wait for 8th November, the real verdict day. The will of people will prevail at the end.